New babies beginning to be born! Calves are usually born in winter. 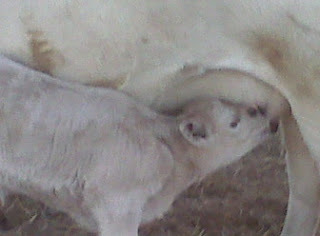 This white one was the first of the season, so she's more than a month old. 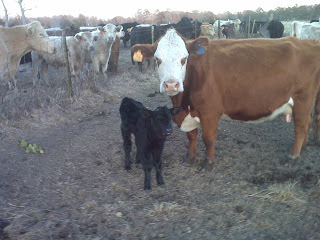 This little black one was just born last week. Outside Ravenel, another Lowcountry taxidermist is just starting to make memories of his own. Kenneth Cordray is a 22-year-old Clemson graduate who made his initial foray into taxidermy just two years ago while he was still in school. Cordray has watched his business flourish since moving back to the area last May. And he now has his own setup at his family's farm, which is also home to a meat processing plant. "It made sense to me," Cordray says recently as he stands in his tanning room, surrounded by still-wet deer hides that dangle from hooks. "It's a one-stop shop where people can bring their venison to get it processed and have their deer mounted at the same time."